You probably know that being healthy means eating a balanced diet and maintaining a healthy weight, but what do you do when you’ve got a jam-packed schedule + could really use some healthy support? With the holidays coming fast, we thought it was the perfect time to sit down for a chat with NFL Player turned Executive VP + TLS® Coach, Dennis Franks to find out why TLS® is the fix that sticks! 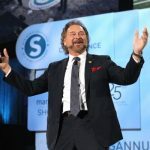 From his role as Executive VP, NFL career with the Philadelphia Eagles and Detroit Lions, to his latest accomplishment as the published co-author of his book, “The Last Laugh”, Dennis Franks’ versatility and contagious energy have allowed him to live an exciting life that most only imagine! But when this excitement left health, wellness, and weight on the back-burner, Dennis knew it was time to make a change for the healthier. Being a former football player when did you start to become concerned about your weight and health? Shortly after leaving the National Football League (NFL), I came across some statistics in the position that I had played. According to the report, the average lifespan of a player in the NFL was 54 years old. Former NFL players continued eating the way they did when they played and coupled with inactivity, chronic diseases grew amongst our ranks. Therefore, it is extremely important for football players to have proper nutrition and a well-balanced diet. What types of struggles have you dealt with while trying to manage weight? The biggest struggle was changing my eating habits to consume less food than what I was used to eating. Next was the many diets that I tried but did not fit my lifestyle and I failed miserably on all of them. Failed not in losing weight, but regaining weight very quickly. Have you tried different types of weight management solutions? I have tried many established diet plans as well as fad diets. The ones that many people know are Weight Watchers, Atkins Diet, South Beach Diet, and the craziest ones included the Grapefruit Diet, the Ice-cream Diet, Rotational Diets (rotate specific foods), and Cabbage Soup Diet. What got you started on the TLS Weight Loss Solutions® program? The development of TLS® was inspired by the thousands of people that I met. They were asking for ways to lose weight and to be healthier. The original TLS Program consisted of nutritional shakes, bars, and specific food selections but, over time, we began the introduction of weight management products available at tlsslim.com! Expert Dr. Shari Lieberman enlightened us to shift our food selections to focus on low glycemic impact eating, something studied in Australia which showed great results in reducing the effects of chronic disease as well as assisting in weight management. This brought TLS® to a whole new level! Over the next 15 years, science began studying weight management and developed supplements that contained nutritional ingredients which helped the body respond better to LGI diets. More specifically, it helped the body respond better to carbohydrates. What is TLS® and how does that contribute to a healthy lifestyle? and even how to improve body composition to kick your metabolism into high gear! Because muscle dictates metabolism, this program emphasizes a healthy body composition by increasing the ratio of muscle to fat. You can also find scientifically developed weight management supplements designed to support you to manage your weight once you reach it! How did TLS® manage to change your eating habits? that, if eaten on a regular basis, allows for great things begin happening within your body! You burn more fat and benefit from the number of nutrients contained in a diet based on whole foods. I stuck to the power foods and did not have to worry about eating too much, but it was the complete + detailed education that came with our 12-week program that changed my eating habits. I carried. The extensive collection of weight management supplements, coupled with my newly-learned eating habits, helped as well. TLS® CORE was created to deal specifically with the issues related to leptin sensitivity + helped with appetite suppression as well as a feeling of fullness. It also helped to reduce fat stores while supporting normal blood sugar levels. 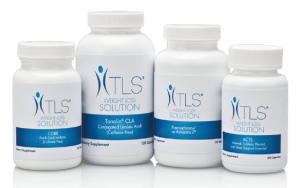 If you’ve tried everything to get rid of stubborn belly fat and love handles, TLS® Tonalin CLA was a great help as well! 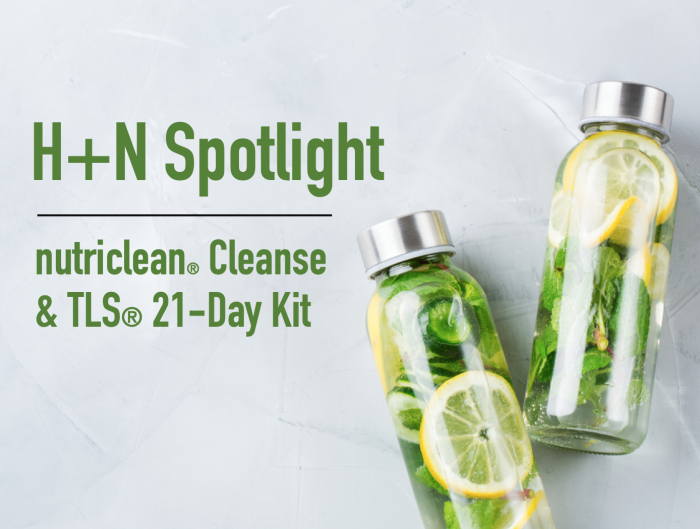 Paired with a low glycemic diet and exercise, this product can help you manage that unwanted weight! What is your best piece of advice for those who are just starting TLS®? For anyone looking to improve their health and quality of life and are serious about it, set your goals, your timeline, and the reason why you want to make the change. As in anything in life that drives us, you must have a Why and an Action Plan to follow. TLS® provides it all! As a programme designed around you, your goals, and your commitment level to achieving your personal health and fitness goals, you’re set for success. What is LGI eating and how does that contribute to healthy living? Low-Glycemic Impact eating is based on how foods affect your blood sugar level. Glycemic index is a system of assigning numbers to carbohydrate-containing foods according to how much each food increases your blood sugar. LGI contributes to healthy living by helping people to make better food selections so that they will be fat burning instead of fat storing machines. Low-glycemic foods like lean proteins, high-fiber vegetables, fruits, beans and legumes, quality fats, and whole grains help keep blood sugar levels stable. Controlling the GI of your foods promotes normal blood-sugar levels and enables the body to stay in a fat-burning mode. Some believe that coffee/tea is harmful to one’s diet, but what do you think? Coffee and tea are not harmful, as long as you drink in moderation! What is the difference between TLS® Trim Cafe compared to others? 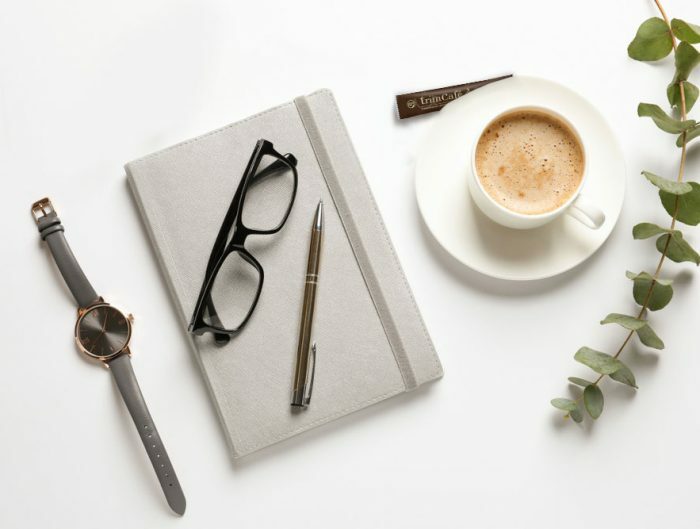 TLS Trim Café has two ingredients: Columbian Arabica Coffee Powder and WellTrim® iG, an extract from African Mango Seed Extract (Irvingia Gobonesis). Welltrim® iG has successfully helped manage body weight, body fat, and waist circumference over time and, when used in conjunction with a regular exercise routine and balanced diet, Trim Café may promote an effective, multi-layered method to weight loss. 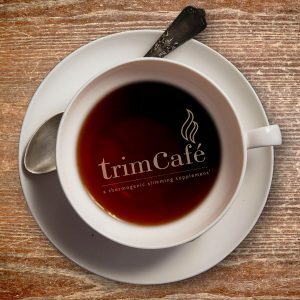 This makes Trim Café just one more way to support a healthy weight with the most customizable lifestyle program on the market! Simply pour the easy-to-use stick packs into a cup of hot water, stir and sip. If you prefer your Trim Café cold, pour over ice. For athletes who exercise + eat healthily, why do they need supplementation? Individuals that are in sports do not understand that exercise increases the amount of inflammation in our body. Exercise also tears down muscle and depletes important minerals that are necessary for maximum performance. Supplementation is critical for any competitive athlete. How did you become a strong believer of the program and supplements? I was 18 years old when I first started taking my supplements at the University of Michigan. It was a combination of vitamins and minerals. Science is constantly evolving and with each year and decade, our level of understanding what the body needs and how we acquire those needs become more prevalent. Food today is not the quality that it was 20 years ago. Our diets primarily include the same foods each and every week. Today, it is virtually impossible to get everything your body needs from the food that you eat. Supplementation becomes essential to provide the necessary vitamins the body needs. Do you believe everyone needs supplementation? Absolutely. If you are an individual that expects performance each and every day, then supplementation is a must to ensure the essentials (Vitamins, minerals and amino acids). Essentials mean that your body does not make them, and needs to take them in daily. What do you consider to be essential supplements and why? The mandatory three: multivitamin, omega III, and an antioxidant. If one can afford it, vitamin D and B-complex are essential vitamins for the body. My next priority would be with fiber and probiotics. Finish off with co-enzyme q10 and magnesium. The Why is because of our diets and lack of variety of foods necessary to get these nutrients. Studies are proving that the demands that stress puts on our body and the environment, coupled with the prevalent issue of lack of sleep are becoming major contributors to chronic disease. Note: it is very important that people get the correct levels of protein. Because your body will attack its own sources of protein when you do not take in enough protein. Protein makes up our muscles and our heart is the most important muscle. Whether you’re just at the beginning of your weight-management journey, or an athletic trainer, TLS® has you covered!